As one of the founders of ARNA, Eduardo Flores not only worked diligently to improve education in Mexico but was instrumental in building the initial structures of ARNA. Eduardo’s work to build an inclusive ARNA in both Spanish and English, as well his incredible support for the initial conference in San Francisco, mean that he had a significant impact on the future of ARNA despite being involved for only short time. This award acknowledges an individual who embodies Eduardo’s leadership. Margaret has been active in ARNA leadership since the creation of the network. 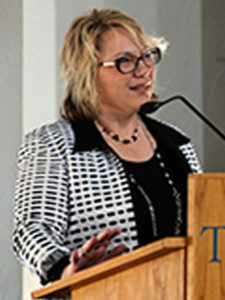 Beginning in the summer of 2012, she was one of the five “network initiators” who worked together to form an action research network for the Americas. Margaret immediately recruited new ARNA members and dove right into web development work. Within a very short period of time ARNA was able to launch a website and to use it as a platform to spread the word about the inaugural conference and to highlight the steps being taken to build a strong network. From the beginning Margaret has served diligently and tirelessly and has mentored new members, helping them to find meaningful involvement in ARNA. She has provided steady leadership for all four years of ARNA’s existence and has demonstrated repeatedly the qualities associated with the legacy of Eduardo Flores. » Link to Margaret’s Center for Collaborative Action Research and action research tutorial. No one has been more actively engaged in the leadership of ARNA since its inception than ARNA co-initiator and 2015 conference co-chair, Catherine Bruce. Cathy serves as Associate Professor and Graduate Director of the Masters in Educational Studies program in the School of Education and Professional Learning at Trent University. In 2013, she was named one of Ontario’s most outstanding university teachers by the Ontario Confederation of University Faculty Associations. Cathy has more than 25 years of combined public school and university teaching experience and in addition to co-chairing this year’s ARNA conference and CARN Study Day, she co-chaired last year’s conference in Bethlehem, Pennsylvania. We have been most fortunate indeed to see the reach of Cathy’s profound influence on the action research of local practitioners throughout this year’s Study Day and Conference. » Link to Cathy’s action research. Lonnie is one of the initial members of the small group which has led to the creation of ARNA and indeed to our being here together this evening. Those of this group who were part of that initial group recognize the significant influence of Lonnie’s vision throughout the establishment of this exciting and energizing organization. Lonnie is tireless in his efforts to grow the network, document the history and progress of action research, and mentor those of us who aspire to keep up to him. Today Lonnie referred to the work of ARNA as “building mutual respect and unleashing creativity.” We know that we couldn’t have a better leader in this endeavor. » Link to Action Research in School Counseling and Social Publishers Foundation . As indicated in the mission statement, ARNA unites college and university students and faculty conducting practitioner inquiry into teaching and learning with fellow action researchers in public schools, private schools, community settings and workplaces throughout the Americas. This award acknowledges an individual who has demonstrated a commitment to rigorous action research as well as valuing the importance of developing knowledge in situ. An ARNA member since 2014, Morgan has distinguished herself over the past two years as a beginning action researcher. Her first action research was conducted as a graduate student-action researcher at the University of San Diego during 2014-2015, where she chose to initiate a youth participatory action research project during her fieldwork at an Alternative School for at-risk youth. This past fall, Morgan presented her latest action research at the CARN Conference in Braga, Portugal. 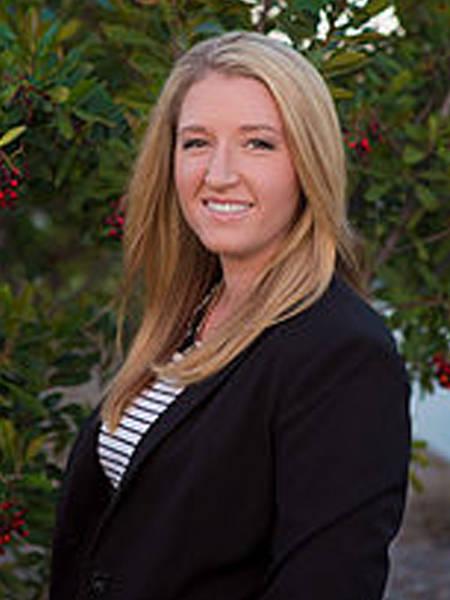 During the 2015-2016 academic year, Morgan served as Team Leader for the ten person team of graduate student volunteers who helped manage and continue the development of the University of San Diego’s Action Research in School Counseling web site. Morgan shows great promise both as an action researcher and as a leader in the future development of action research in the Americas and beyond. » Link to Action Research in School Counseling. The ARNA Award for Promising Young Researcher is presented to Cathy Griffin. Cathy is from the Bluewater District School Board in Ontario and has been working tirelessly with her colleagues to improve teaching and learning through action research colleagues. 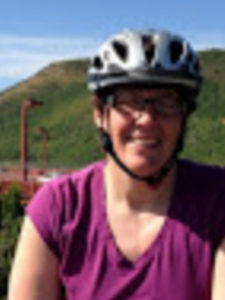 Since earning her Master of Education Degree in Curriculum and Instruction from Brock University in 2011, she has written papers and made presentations with Jack Whitehead, Liz Campbell, and Jackie DeLong, among others. She is creator of the Bluewater Action Research Network, ten of whose members presented their action research at the 2015 ARNA conference. » Her keynote address to the Teacher Learning and Leading Program provides more details about her work. Meredith’s action research study examined the impact of support provided by the ESL teacher upon mainstream teachers’ and monitored and post-monitored ESL students’ academic, cultural, social, and emotional experiences in the context of middle school. In her research, she examined how to support the teachers in the main stream classrooms who didn’t necessarily believe that these student required support because they had enrolled inthe main stream. This is the so what – it is action research that is clearly making a real difference in the lives of ELL students and is empowering other practitioners to be more reflective in their own practice and of their own beliefs to change their practice. Meredith elected to undertake the action research to improve the lives of underserved students. Meredith will be presenting her work in a session called Letters to Param: Perceptions Versus realities Between Monitored & Post-Monitored ELLs and Their teachers in the Mainstreamed Secondary Classroom. » Meredith’s action research study may be accessed at http://home.moravian.edu/public/educ/eddept/mEd/thesis.htm. Camilo Manchola has been an extremely valuable and active member of the Transition Coordinating Group. In this role, he helped chart the second year development of ARNA. He as embraced this leadership role in the action research community and provided insightful dedication to building the ARNA community in South America. When he moved to Brazil to pursue his doctorate, he continued his service to ARNA as a valued member of the the Web and Tech Development Team. He continues to make connections for ARNA in Columbia, Brazil and throughout South America. He has been working closely with ARNA to develop the plans and contacts for ARNA 2017 Conference in Columbia on the 40th Anniversary of the first World Symposium of Action Research convened in 1977. ARNA is a knowledge mobilization organization comprised entirely of volunteers committed to ARNA’s mission and vision. The ARNA Community Development Award goes to the members of the 2014 Proceedings Team, led most ably by Elena Polush from Ball State University, and comprised of Trent University’s Tara Flynn, West Chester University of Pennsylvania’s Heather Leaman, Ball State University’s Jose Martinez, and Moravian College’s Jamie Hill, published the first proceedings in record time and to universal acclaim. As the editors say in their preface to the inaugural issue, which is accessible from the ARNA home page. The proceedings represent authors who are the members of the action research global community. They live and work in Australia, Canada, Colombia, Finland, Kenya, Mexico, Mongolia, Portugal, the United Kingdom, and the United States. While being a diverse group of scholars and practitioners with different backgrounds and from various fields of practice and research, they share passion for action research, social justice, change, transformation, education, environment, livelihood and sustainability of communities, and collaboration, among other key commitments and aspirations. Their work is guided by engagement, reflections, actions, and critical dispositions. Thisevening we honor Elena and her team for their most excellent first publication. Link to the ARNA Proceedings. The organization and execution of the annual conference depends upon the ability of leaders to wrestling up the community and building strong connections with those knowledgeable others. Rachel demonstrated significant and sustained commitment to the 2014 ARNA conference from the start. She attended the 2013 ARNA conference in San Francisco, where she made many connections with both presenters and attendees. These connections formed the foundation of her work over the past year, during which time she has strengthened and expanded existing networks, as well as created new networks. Many of you have benefitted from Rachel’s work, perhaps without even knowing it, and many of you met her at the registration table. Rachel exemplifies the type of dedicated and determined individual whose work strengthens ARNA’s ability to expand the action research community. 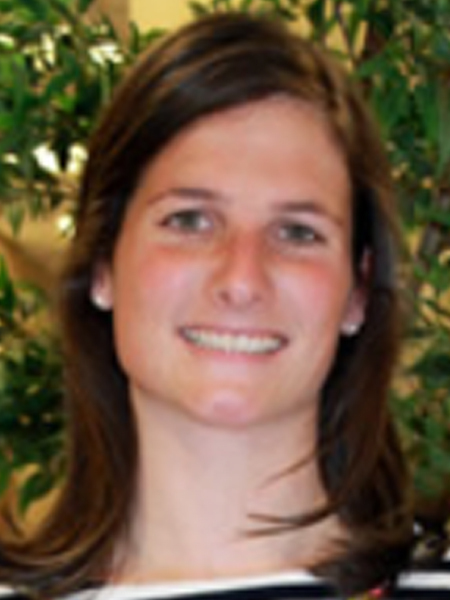 Rachel’s action research story was captured at the 2013 conference. » Her action research thesis on project-based learning is available. ARNA members are committed to taking action locally, regionally, nationally, and internationally to promote action research that is conducted with a commitment to honesty, integrity, inclusiveness, multi–vocality, engagement, and achievement within sustainable democratic societies. The realization of such a commitment requires individuals, such as the recipient of this award, determined to build relationships that are respectful of cultural and linguistic diversity. The Highlander Center serves as a catalyst for grassroots organizing and movement building in Appalachia and the South. Highlander works with people fighting for justice, equality and sustainability, supporting their efforts to take collective action to shape their own destiny. Through popular education, participatory research, and cultural work, Highlander helps to create spaces where people gain knowledge, hope and courage, expanding their ideas of what is possible. Highlander develops leadership and helps to create and support strong, democratic organizations that work for justice, equality and sustainability within communities and that join with others to build broad movements for social, economic and restorative environmental change. The recipient of this year’s Social Justice Award epitomizes ARNA’s commitment to the development of worldwide efforts in support of teacher action research. Under the most able leadership of New Mexico State University’s Dr. Candace Kaye, ARNA has signed its first official memorandum of understanding with an international higher education institution, the Mongolian National University of Education, which is also an ARNA conference and institutional sponsor. Candace has lead and will continue to lead efforts to engage our Mongolian colleagues in collaborative research with a specific focus on action research projects, lectures, symposia, seminars, and workshops, while supporting the exchange of action research, practitioner research, and participatory research information and materials. Candace has most ably explored the development of new distance technology support system for action research through the promotion of mutually beneficial endeavors. 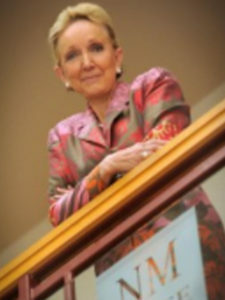 » More information about Dr. Kaye’s work is available at http://ci.nmsu.edu/faculty/ckaye/. We begin by acknowledging the considerable support Miguel provided throughout the process of putting out the call for proposals through to accepting them and right up to putting the final touches on the program and abstract documents. He provided excellent feedback on the many stages of the process, quickly responded to translation requests, and communicated across the various networks as we moved toward this conference. Within his work at Universidad Autonoma de Baja California, he has demonstrated a commitment to promoting and conducting action research with the highest of standards. We are pleased to present Miguel with this acknowledgement of his leadership.